My husband and I decided to try this test before making an appointment to the dr. It worked great and the results were positive. Though we haven’t conceived yet, we at least know there is enough sperm ! This product works great! No issues, no complaints. We did the test as directed in the instructions. Was a little worried that we might mess it up….after all, it is 1 test for $40…..but everything was fine. Showed that my husband has a good number of swimmers but wished it told the quality and mobility of it all. Just knowing that his count wasn’t low added some much needed peace of mind. We will continue down our conceiving journey and see what happens. 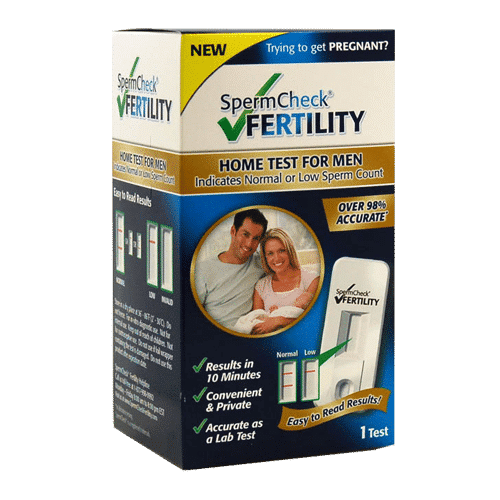 I ordered the spermcheck fertility test for my fiancé since we have been ttc for over 6 months. I bought it because I wanted to see if we both needed to see a doctor or confirm my suspicion that I am the one with fertility issues. Anyways my order arrived 2 days after I placed the order and the test was extremely user friendly with easy to read instructions. The test took about 30 mins to complete as you have to wait for a few steps but you get results in 7 min. 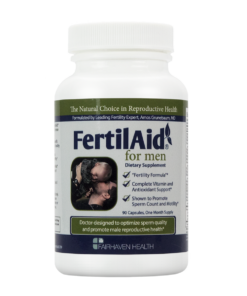 I look forward to start using fertilaid for women and men and get a few other supplements to help us ttc. highly satisfied with the results. Test arrived promptly in plain packaging. Test was easy to use. 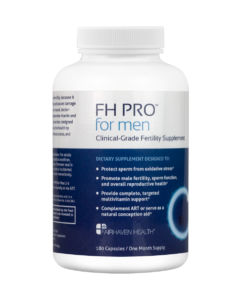 Gives correct results regarding sperm count! My husband had a vasectomy reversal late last year after 15 + years of being fixed. We have been trying to conceive every since with no luck. We started wondering if the reversal worked, and if sperm in fact had returned. My husband took the test and the test showed positive for sperm! We were really happy about the results, so we continued on our merry little way. We continued trying and we still had not conceived so my gyno sent my husband for a sperm analysis. We got his results, and the spermcheck fertility test was correct; he did in fact have a sperm count of 21 mil and morphology was at 75%. The problem we are having however is his sperms motility is at 10%. It should be at 45-65 %. So now we are working on getting that up now. I recommend this as a first step in checking for fertility issues for sure! 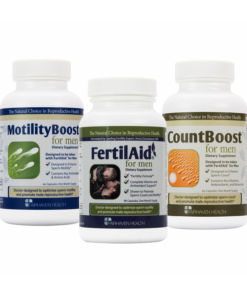 We will start Fertilaid men’s fertility starter pack when it arrives hopefully in a few days. Good luck to all! My hubby had a vasectomy reversal 6 years ago. We had one successfull pregnancy right after surgery. But after trying to conceive for 3.5 years after our first we thought the surgery reversed itself because we got a lab result back informing us nothing was found in the sample. ( no live, no dead sperm) it was devistating. After another year of ttc. I heard anout The sperm check test. Hubby took the test it came out positive, and we got our positive hpt that same night. So after a negative lab test ( I think cup anxiety) sperm check didn’t only ease our mind but we got our miracle. I have NEVER posted anything on the web but after searching for post vasectomy reversal I found nothing and really wanted to share our results.